This article provides an overview of pharmacology, toxicity, pharmacokinetics and clinical data of Polypodium leucotomos L. (PL). PL aerial part has proven to exert antioxidant, photoprotective and immunomodulatory activities; its mechanism of action is complex and includes several activities: (1) PL diminishes the production of reactive oxygen and nitrogen species (ROS, RNS); (2) PL inhibits the photoisomerization of trans-urocanic acid (t-UCA); (3) PL inhibits apoptosis induced by ultraviolet radiation; (4) PL prevents damage to genetic material and (5) PL enhances DNA repair. PL is not mutagenic and does not induce acute or chronic toxicity. Its biological effects have been proved in cell cultures, animal models, murine models and in human beings. 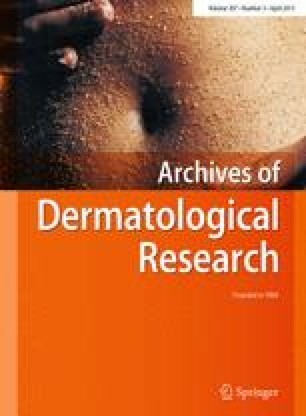 Photoprotective activity has been assessed in healthy volunteers as well as in patients suffering from several cutaneous diseases such as vitiligo, psoriasis, idiopathic photodermatosis or melasma. PL results to be an efficient treatment especially for sensitive cutaneous phototypes and adds extra protection when ultraviolet radiation (UVR) exposure cannot be avoided, such as wide or narrow band UVB phototherapy or treatment with psoralens plus UVA exposure radiation. The author thanks Dr. Eduardo Reyes for his assistance in the clinical data analysis.